eQuality Associates, their families and staff rallied at the Capital Today! 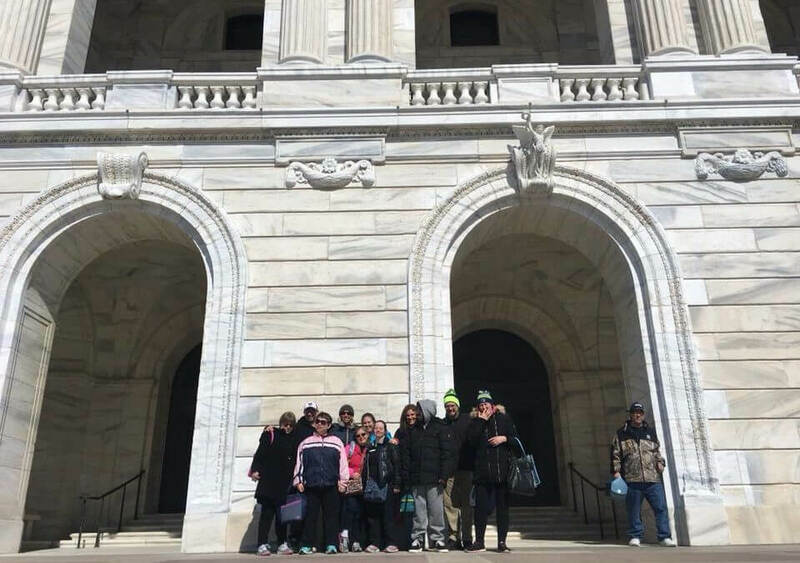 The ARRM/MOHR Day at the Capitol is an annual day of advocacy where more than 1,000 direct care staff, managers, family members and people who receive home and community-based services rally together at the Minnesota State Capitol to make their voices heard. Attendees come from all over the state in buses and vans to make sure that legislators hear their voices and know their issues. eQuality Associates met with their representatives and used their voices to advocate for their future.